Hand bound baby's photo album keepsake & memory book, journal and first words notebook all in one. 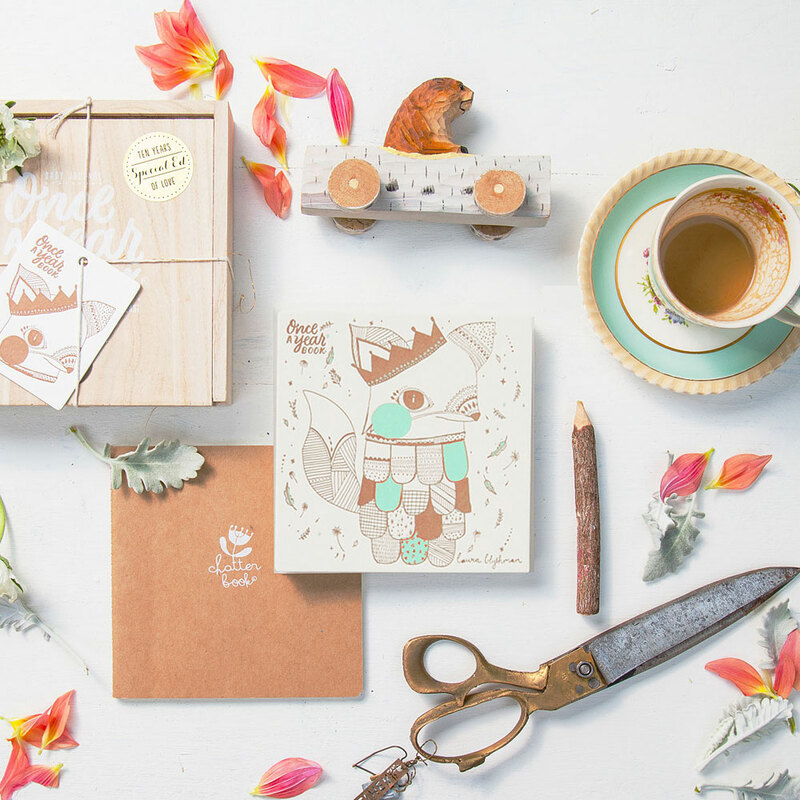 To celebrate, Laikonik has created a Special Collectors Edition of this gorgeously unique product, in collaboration with the very talented Melbourne-based artist, Laura Blythman. 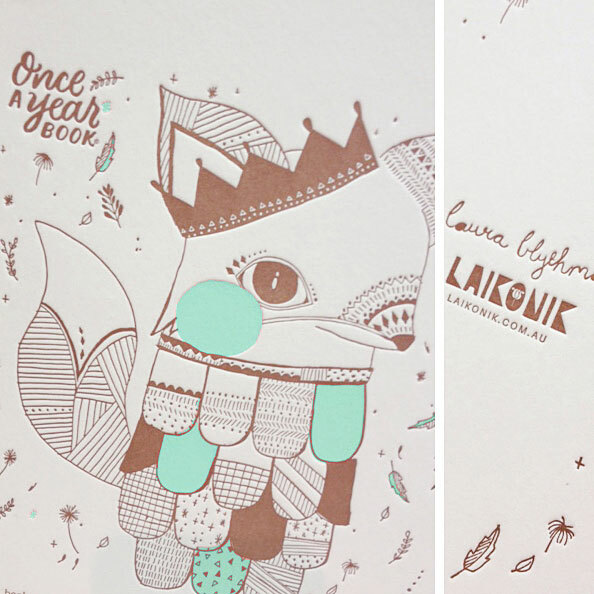 Laikonik’s unique Once-A-Year Book chronicles a child’s life from birth to adulthood. Each year, from age 0 through to 18, affix one photo on the front and document milestones from that year on the back. Simply trim a standard 6x4 inch photo on any side to create a square OR print square-form photos straight from your phone or Instagram with programs such as Photify! Use the clever concertina design to stand and display or fold and store in the included wooden keepsake box. Plus, create a journal of the things kids say in the companion Chatter Book. 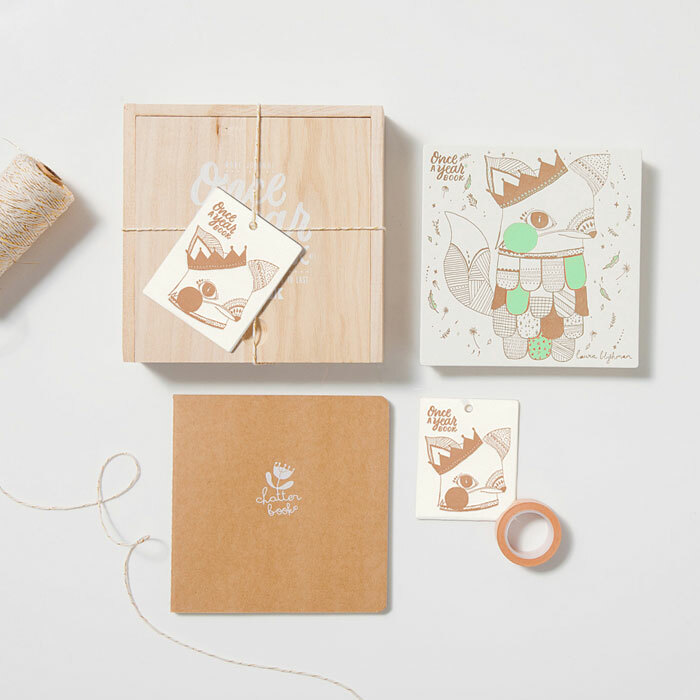 The Special Edition Once-A-Year Book is hand bound and features letter-pressed illustrations by Laura Blythman, gorgeous copper and mint tones, and acid-free archival quality paper. Made in Australia, crafted for life. A beautiful new book carrying the same LAIKONIK spirit – still hand bound using sustainable materials and water based inks.